This has been a year of canceled trips for me. The latest cancellation is a long-planned trip to Kerala. Once every 12 years there is a mass blooming of the Neelakurinji flower (Strobilanthes kunthiana) in the region of Munnar. We had planned to go to see these flowers. Unfortunately this year there was a freak monsoon storm which destroyed roads and parts of Munnar town, flooded large parts of Kerala downriver, and killed many people. I understand that this is possibly the worst monsoon flood in a century. In this bad time we did not want to cancel our trip in a hurry. Often recovery is helped by providing business. Unfortunately now, with about a week to go for our trip, we are forced to cancel. The flood damage is so heavy that the state government has requested tourists to stay away. Kerala will take time to rebuild and rehabilitate. The state needs help. Here is a link to the main portal where you can offer to help if you wish. I believe that this government portal possibly entails the minimum of administrative overheads, so almost all the donated money will reach those who need help. Kerala’s new year just passed: Onam. We joined the community in a traditional meal, the Onam Sadhya (featured photo). 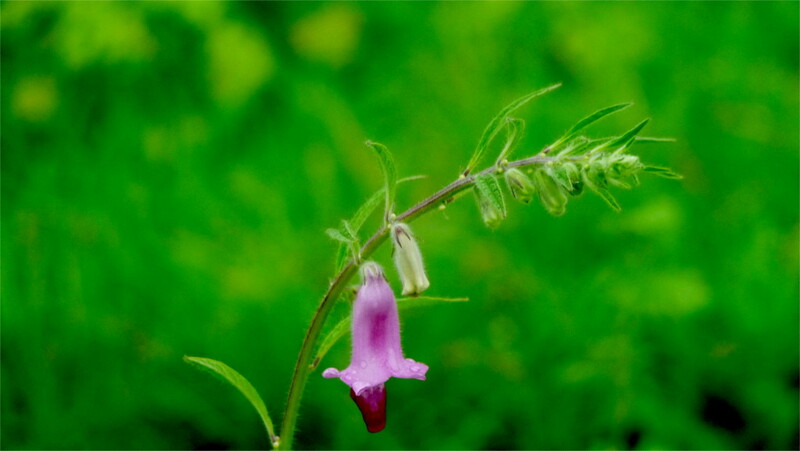 The monsoon changes character in July. The storms of June with their constant whistling winds, and the occasional thunder and lightning have passed over the land. 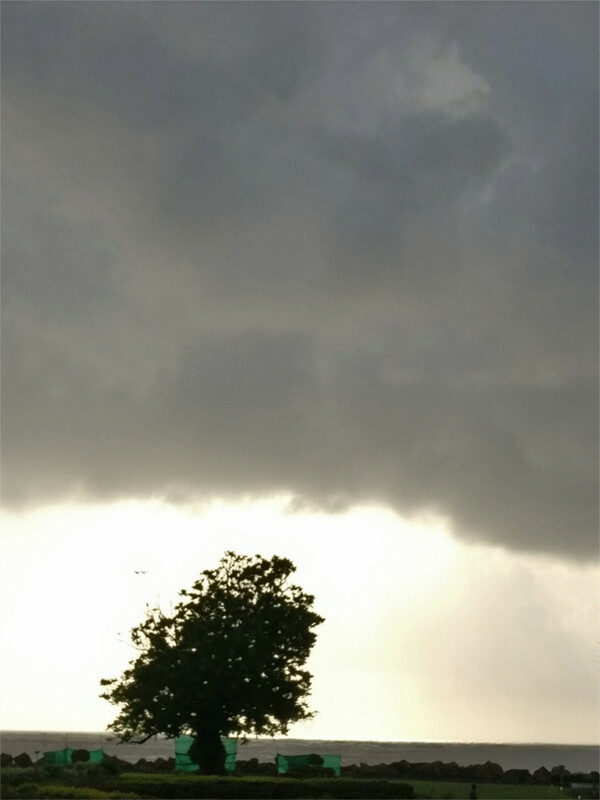 A curtain of heavy rain clouds follow. On Saturday I dared to go out several times to finish various chores and got drenched each time. I was cooped up in my flat all day on Sunday. On Monday I took a change of clothes to work. It is still raining today. July’s rain is a simple fact of nature: if there is open sky above you, there will be hard rain coming down. The paddy field is flooded with the fresh water. Frogs are beginning to croak, and on the banks the grass grows whiter than snails’ eggs. I wonder whether the experience of people living in this land a millennium ago was very different from mine. 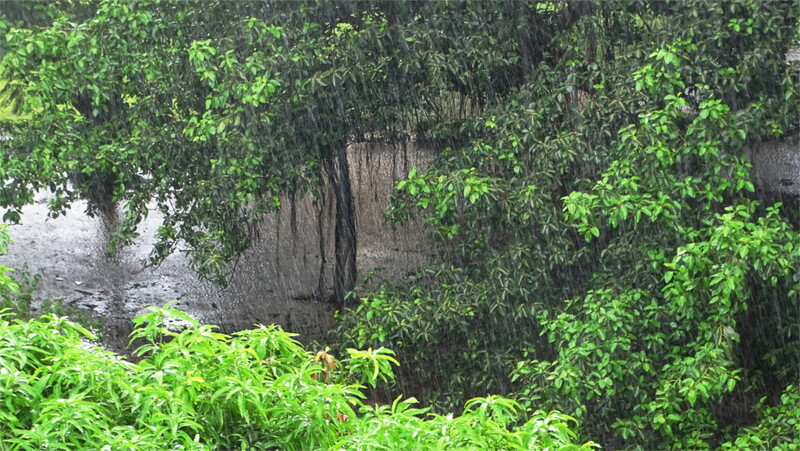 Even in this city with a population larger than some countries, I look out of the window and see the rain water pooling under a banyan tree, flooding the garden. Yogeswara would recognize this. The parking lot below my apartment will be full of earthworms which have crawled out of the slush. The roads will be taken over by snails. We were woken in the morning by mynas which found shelter on window ledges. Crows are too big to fit there. Wet large-beaked crows sit in long lines along parapets, descending to flooded lawns to check out the tasty treats which float up in the water. Most trees have shed their flowers. 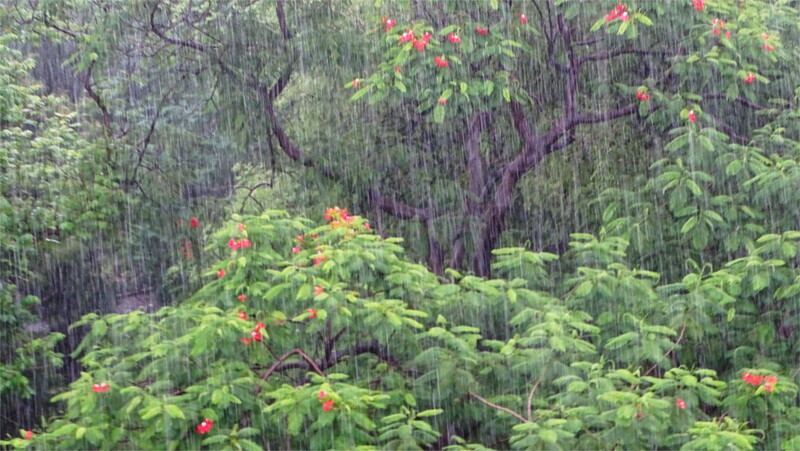 The flaming red treetops outside our windows have been washed into a clean glistening green by the days of rain. A few hardy flowers will hang on till the next heavy rain. In our balcony there are a few flowers still. The Madagascar periwinkle in our balcony will remain in bloom through the monsoon, presenting such a pretty picture that I take photos of the blooms at least once in this season. A year from amorousness: it passes slowly. By rivers Sítá’s bathing there made holy. In the temperate latitudes, the seasons are creatures of astronomy: does the hemisphere point towards the sun or away? In the tropics it is different; circulation in the atmosphere create the seasons. 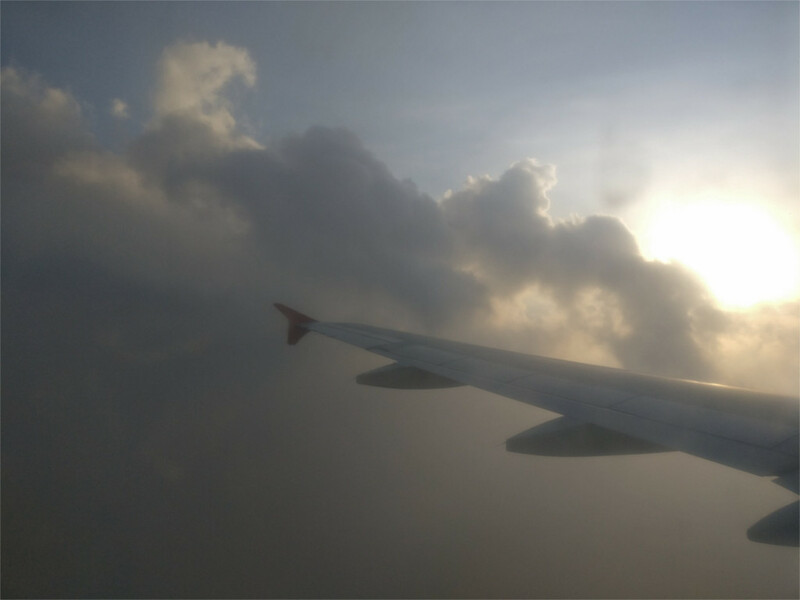 Just now over the Indian peninsula the monsoon winds are chasing away the heat of summer. Here, in Mumbai, during the first monsoon rain I spotted a young couple walking along the sea wall on Marine Drive. Classical Sanskrit poetry associates the monsoon with love (sringara ras). I had to take this seasonally appropriate photo as my taxi sped by. I fumbled with my phone and nearly lost it in the tailwind of the taxi, but I got the shot. The grey monsoon clouds hide the sea; the road is slick with rain, and a young couple walk along the sea wall, wrapped in the weather, lost to the world. About two millennia ago, poets were writing about such couples. As we drove through the Thar desert, I wondered about the mysterious landscape around me. 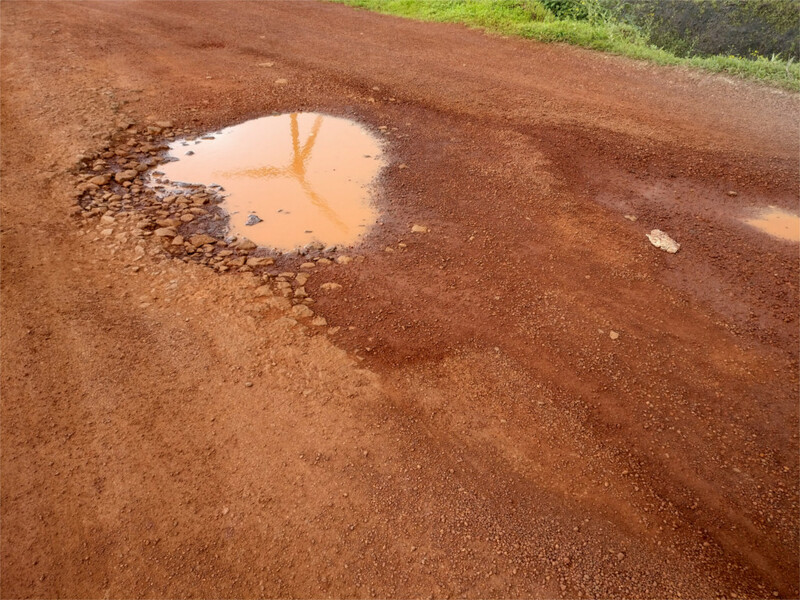 India receives so much rainfall from the monsoon that it is hard to believe that it contains a desert. The popular belief that the monsoon winds are “depleted” of moisture by the time they reach the desert is false. 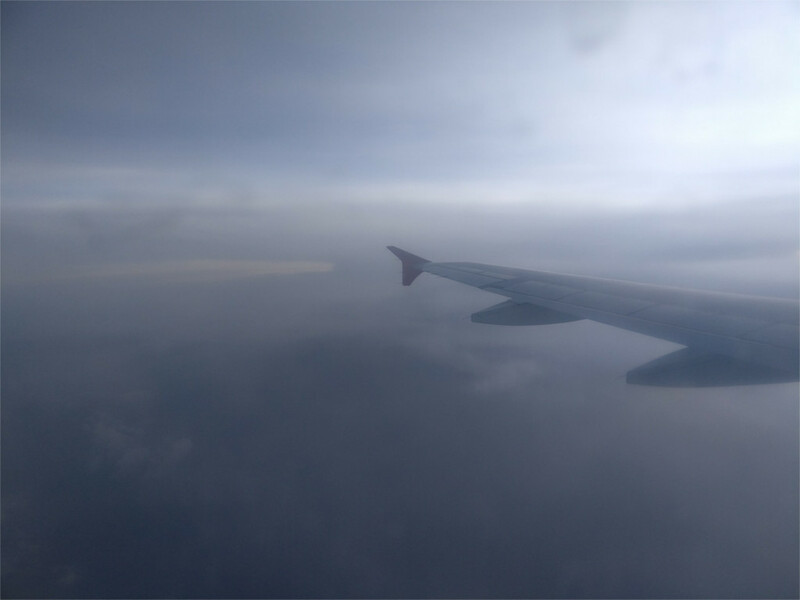 The distance to the sea is rather small, and the air is generally moist. In just three winter months, when the rest of India is dry, the amount of water deposited by dew in the desert is between 30% and 40% of the total rainfall. Something prevents the western branch of the monsoon from penetrating into Gujarat and Rajasthan. 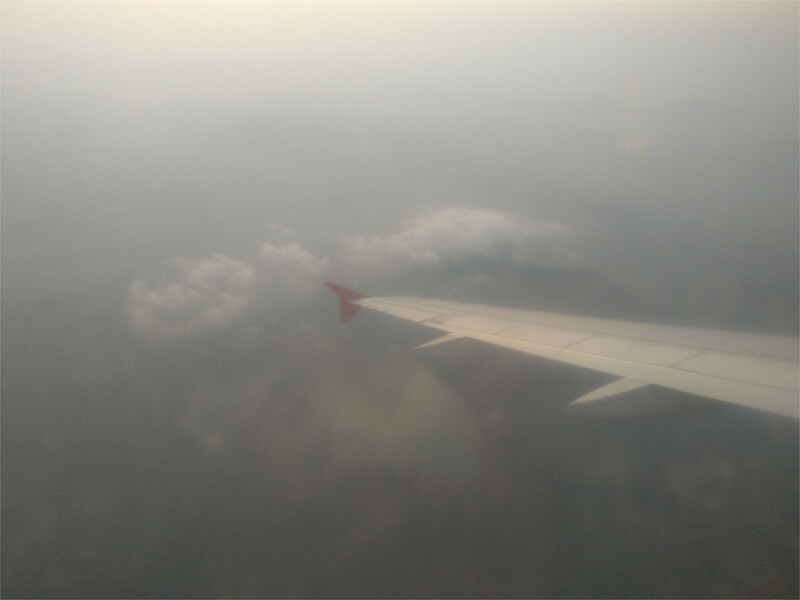 It is believed that this is the immense high-pressure anti-cyclone that exists over the Sahara and West-Asian desert. In fact, the claim is that the monsoon winds prevent the spread of this pattern to the rest of India. Evidence for competition between the two systems is what happens when a third factor occasionally intrudes. 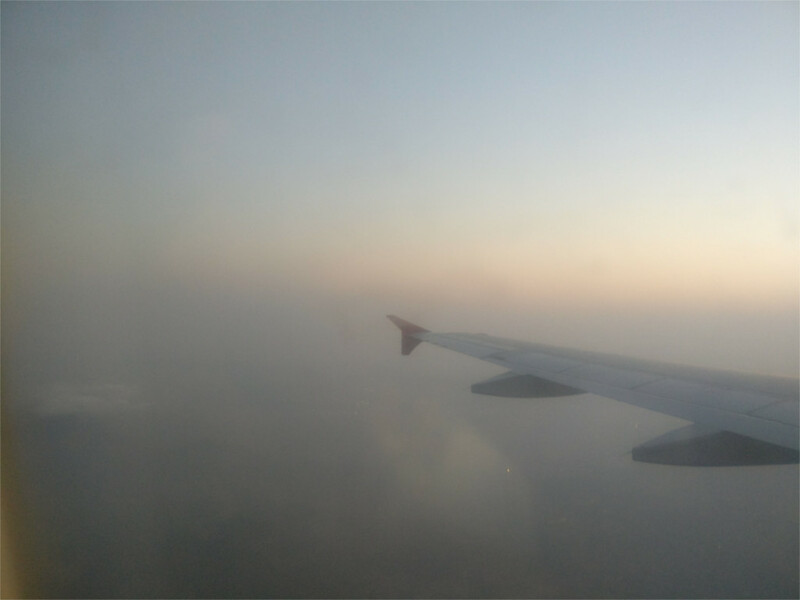 In the infrequent episodes when a Western disturbance hits India during the monsoon, causing immediate heavy rainfall and flooding over a wide area of the desert. This means that the monsoon winds are not depleted of moisture in this region, but are obstructed from flowing by the anti-cyclone. If this conjecture is true, then a weakening of the monsoon due to climate change could allow the anti-cyclone to extend across India, making it an arid habitat. Our jeep had long wandered off the road. The flat landscape that I’d grown used to gradually gave way to undulations. There was still a strong wind blowing dust and sand into my face, so I had my mask on. But when I looked around, the ground had changed. Until a minute ago we were driving through hard packed sand (see the featured photo). Now, all around us I could see something different poking through the sand. The photo above shows the surface. The broken flat stones are made of a material called calcrete. This is formed by the action of water and atmospheric carbon dioxide on wet dust and sand (the word calcrete seems to be a portmanteau of calcium and concrete). The presence of calcrete means that wet lands turned to desert at some time in the past. 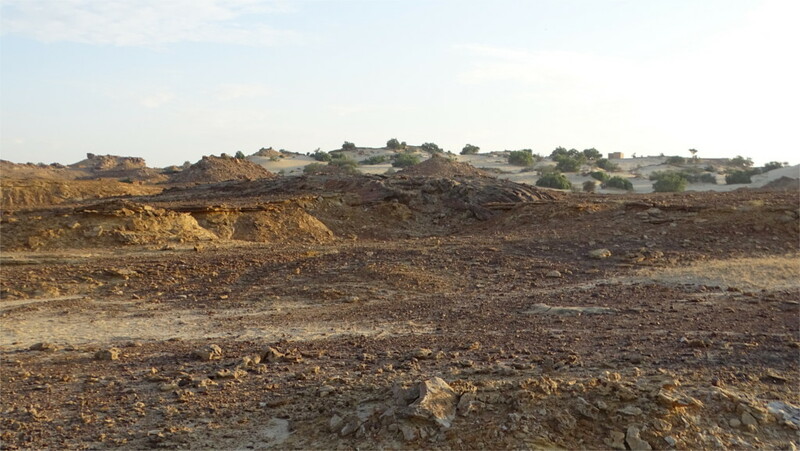 Dating of calcrete in the Thar desert shows repeated cycles of wetness and desert starting from 1.5 million (15 lakh) years ago to 250,000 years ago. I walked across this landscape in search of a wheatear, but my attention was on the landscape. A short walk through sand brought me to something that looked like a dry riverbed into which sand had trickled: calcrete was overlain with sand, as you can see in the photo above. Aerial and satellite photography shows evidence for a well-organized drainage system of interlinked rivers in the far past, disrupted by climate change. Successive surveys and dating showed brief re-emergence of local drainage systems over a period of a million years, which were disrupted within a few tens of thousands of years. The wheatear perched briefly on a bush and I managed to take a photo. After it had flown off, I looked at the land behind the bush (photo above) and it became obvious that it had been shaped by flowing water. The surface was covered in calcrete, which it why it had not been reshaped by the wind. Studies of pollen around Didwana lake in the eastern part of the desert have established that about 6500 years ago the area was wet enough to support a large variety of grasses and flowering herbs and shrubs, of the kind which are usually pollinated by butterflies. This dried up around 4000 years ago. When these studies were first published, there was speculation in the press about the connection with the mythical river called Saraswati. More studies revealed a fluctuating boundary of the desert over human history and pre-history. 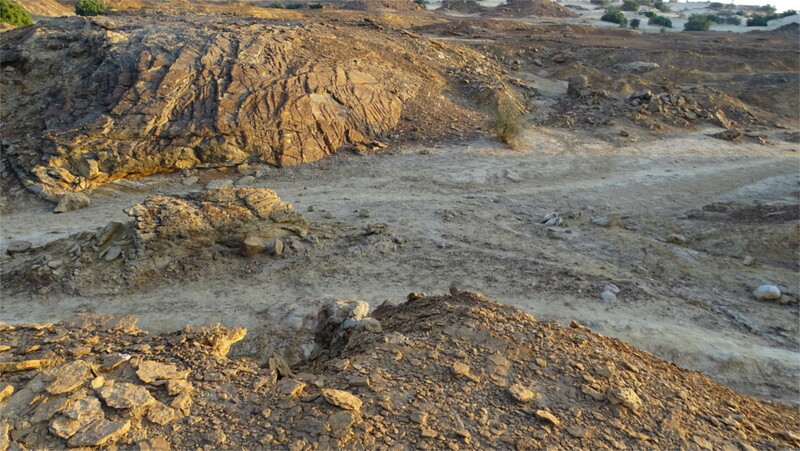 Palaeolithic tools and sites have been found buried intact in the sand, showing that the desert shifts fairly abruptly. The gradual abandonment of Harappan cities could also have been partly due to such climate fluctuations. The bird gone, I climbed a little bluff to join The Family, and saw immediately clear evidence that I had walked across the bottom of an ancient river. The photo above makes it very clear. How old was this? I’m sure it has been mapped out. The geological and climatic history of the Thar desert has been examined in great detail in the last 60 years by a large number of scientists working in India. There is a group in IIT Mumbai who examined the age of sand dunes, and found some as old as 160,000 years, and others as young as 11,000 years. In several of the photos above, you can see distant dunes. It gives me shivers to realize that they were being laid down at the same time as glaciers advanced across the north of Europe, Asia and the Americas. 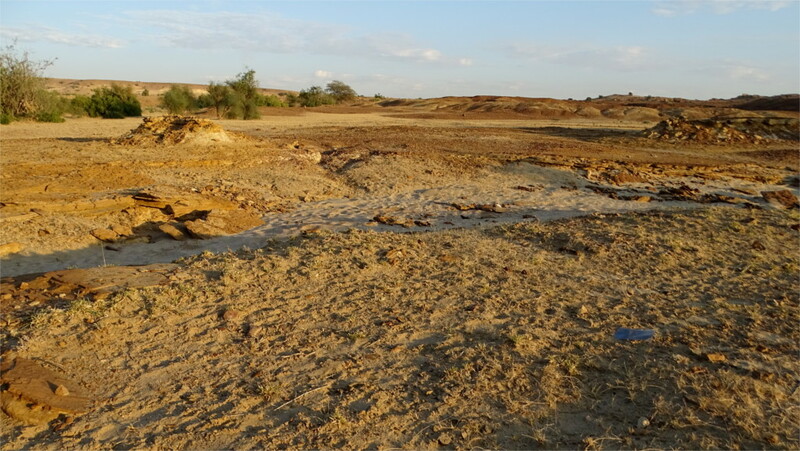 As water got locked up in ice, this part of the world turned dry. Geology and climate sculpt the land over periods longer than our lives, even longer than our civilizations. As a result, it has been hard to see the forces which shape our societies. Walking across that river bed I thought that I had a tiny view of these forces. In the past our actions have been too weak to shape the planet. No longer. We need to understand the Thar desert to plan a way ahead as the climate changes. The Indian Ocean monsoon is a massive planetary scale circulatory system which we are just beginning to understand. Much more easy to see are the things that happen at our scale. In the last decade or slightly more, there have been longer dry spells between heavier showers. Thirty centimeters of rain or more in a few hours is no longer rare. There’s an emergency of this kind every couple of years in Mumbai. If you face the open sea on the west of Mumbai you will see very often a storm coming in. You can take a photo, and then look at the satellite map to marvel at the scale of the storm cloud. Sometimes it covers hundred of kilometers. 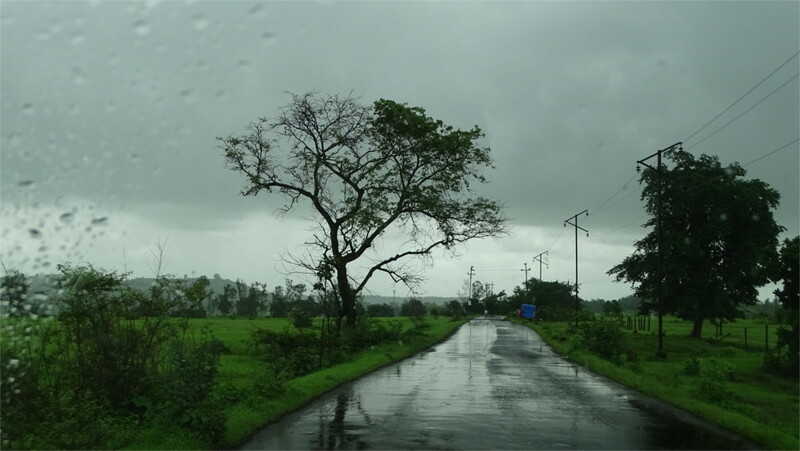 The new views that a phone can add enhance the sense of wonder that one feels about the monsoon. You are not alone. Across the country a million others are seeing this storm coming. When the storm passes and the sun comes out, there are pools of water which evaporate slowly. Above the clouds it is astronomical summer: the northern hemisphere is tilted towards the sun. The humidity and heat can be hard. You long for the rain to cool you down. In the poem Meghdoot, an epic about love in the time of the monsoon, written one and a half thousand years ago, Kalidasa described the monsoon rain on these mountains as “painted streaks on a elephant’s hide”. Watching the clouds roll in over the hills, you understand that he wasn’t talking about water streaks, but the green that suddenly sprouts between rocks. 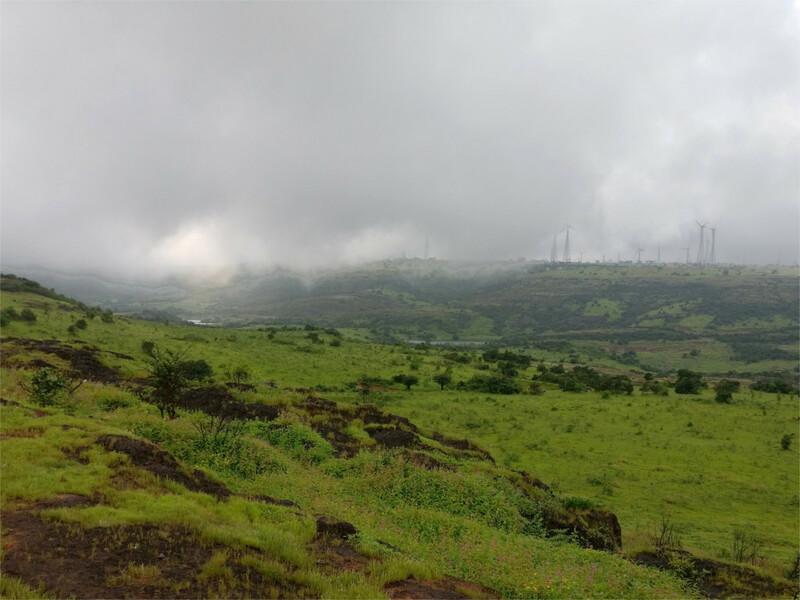 Low clouds roll relentlessly over the Sahyadris. When it invades a dance floor, it becomes a light which hangs over everything and at the same time hides everything. 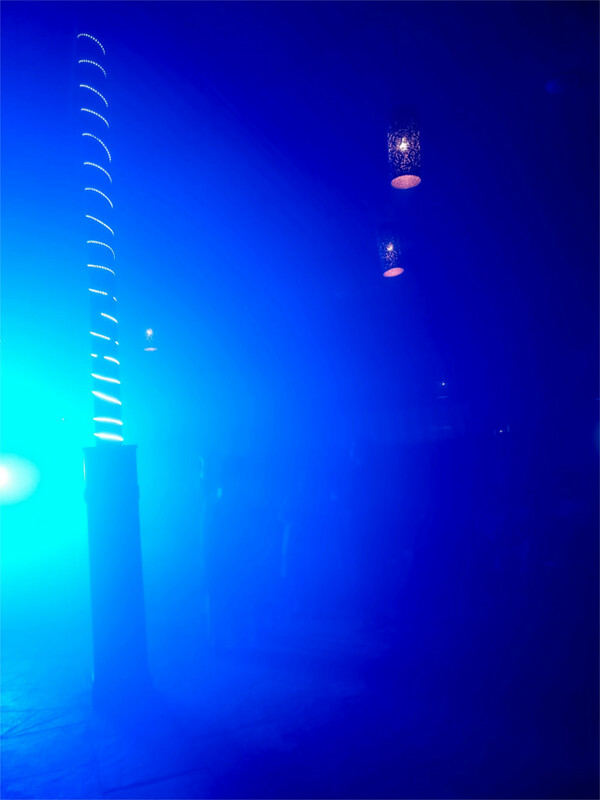 The dance floor is all music and light and warm moisture. I peer at The Family; we are walking on a cloud. What message does it bring? Sometimes, you think the monsoon is bleak. Roads are washed away. Dark clouds rob the world of colour. But it is warm rain that beats down on you. The hills are alive, really, and growing. When the sun comes out you see the electric green that will fade between the end of monsoon and the beginning of winter. That will be the season of festivals all over India. 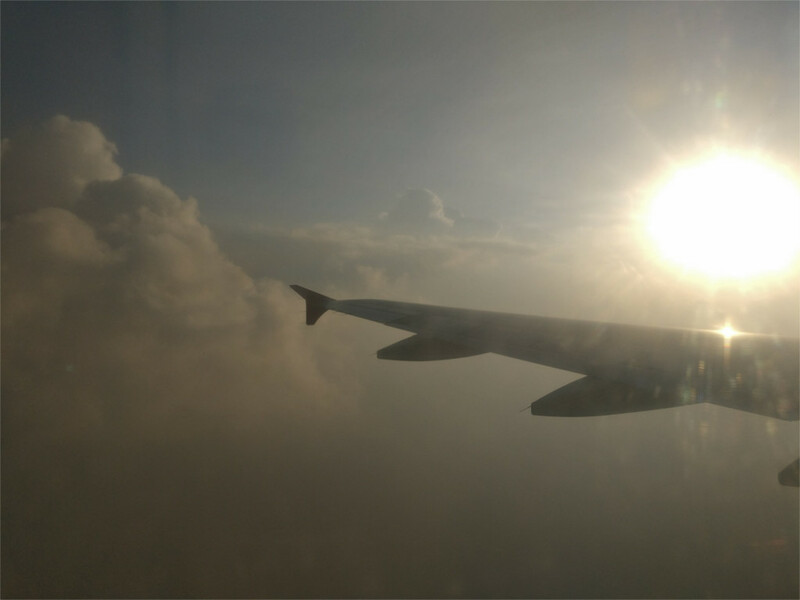 Mumbai has been hot and humid, but relatively free of rain this monsoon. 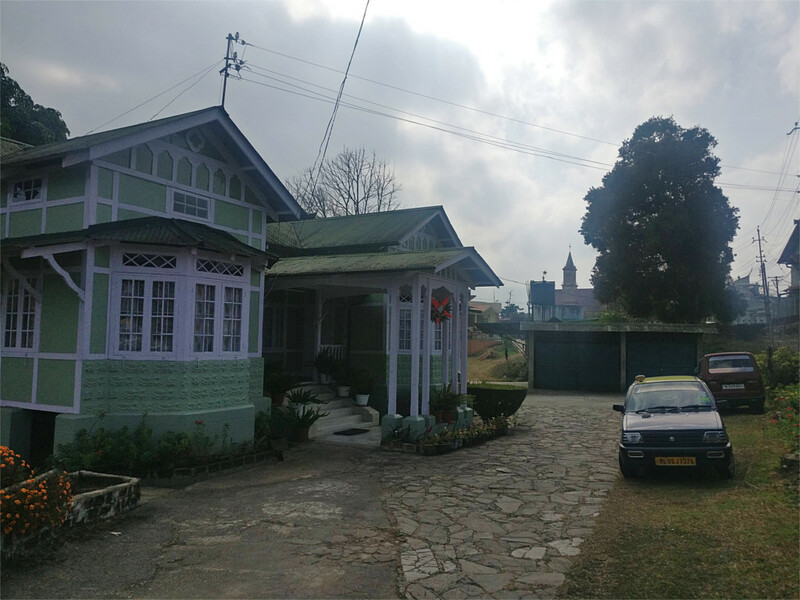 Disgusted with this state of affairs, The Family and I left one weekend for the a resort in the ghats outside the city. For some reason I’d imagined a natural paradise of stony ground covered with wild plants and streams cutting their way through it. 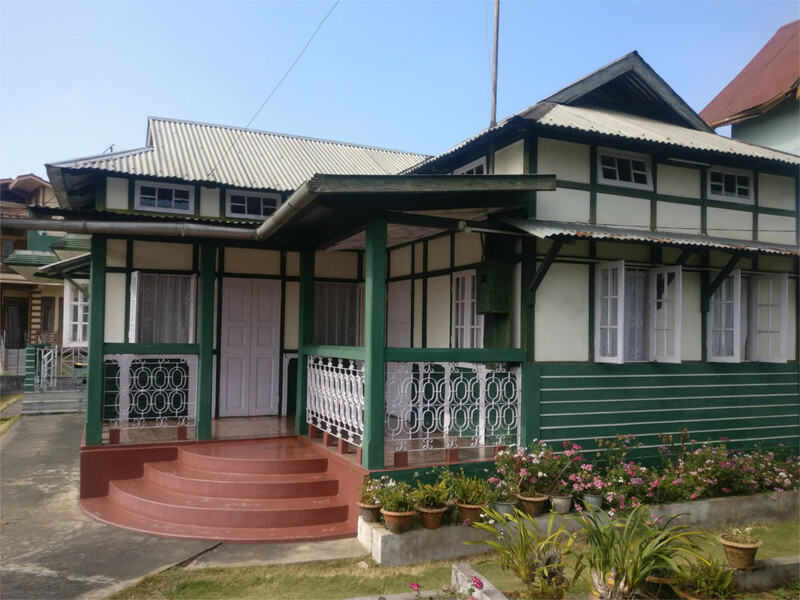 I’d completely forgotten that the region between Mumbai and Pune is full of weekenders who would like to get away from the high rises of the city into a concrete paved paradise of air-conditioned cottages. I’m happy to have these. But they come with manicured lawns and gardens. 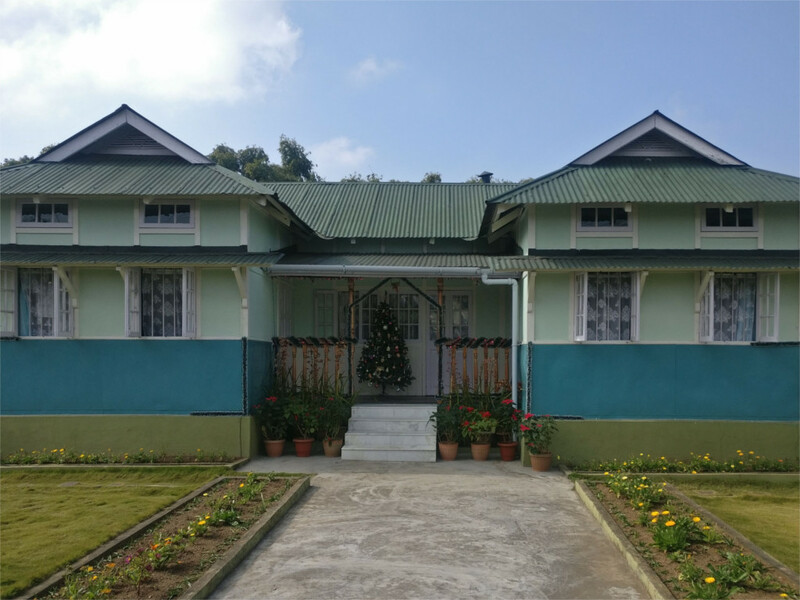 All “weeds” are removed systematically, “wild trees” uprooted and the usual garden flowers planted around landscaped lawns dotted with fruit trees. I had to escape this stifling suburban paradise. But the weather conspired to keep me bottled in, with heavy rains through the day. During a break in the rain I walked out of the resort and followed the road until I got to fallow ground. Here finally was the landscape that I was looking for. 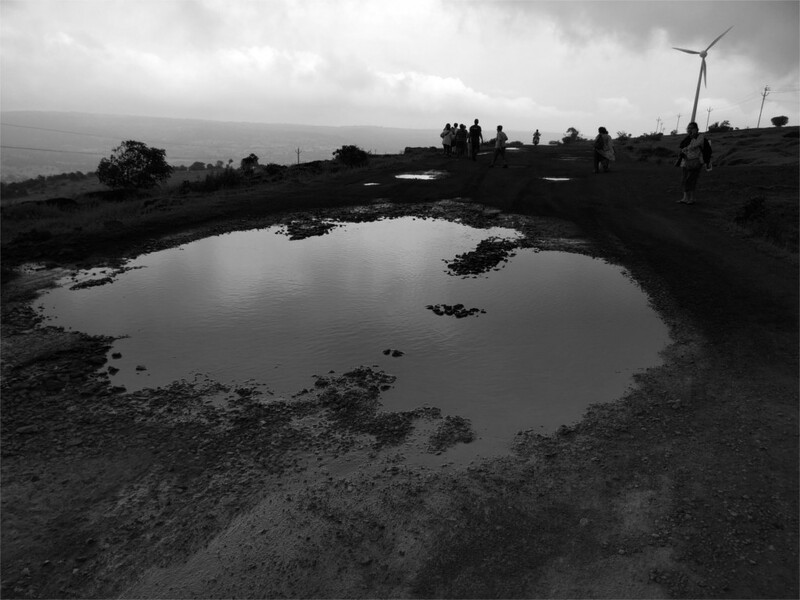 The stony ground of the western ghats do not easily absorb the rains. So streams cut through it, merge and become fast flowing rivulets like the one on the right. Trees hang over them. The banks of these seasonal streams are held together by a dense mat of wild plants. Insects and spiders abound. Water was dripping from the leaves slowly into the ground. It is this slowed rain that recharges aquifers. At this time of the year there are few flowers. The featured photo shows one of the exceptions: the madar or Calotropis gigantea. The other is common balsam, Impatiens balsamica (photo above). There are spider webs everywhere, which means there are insects in plenty. Just after the rain they were hard to spot, because they would probably be hiding under leaves to stay out of the rain. 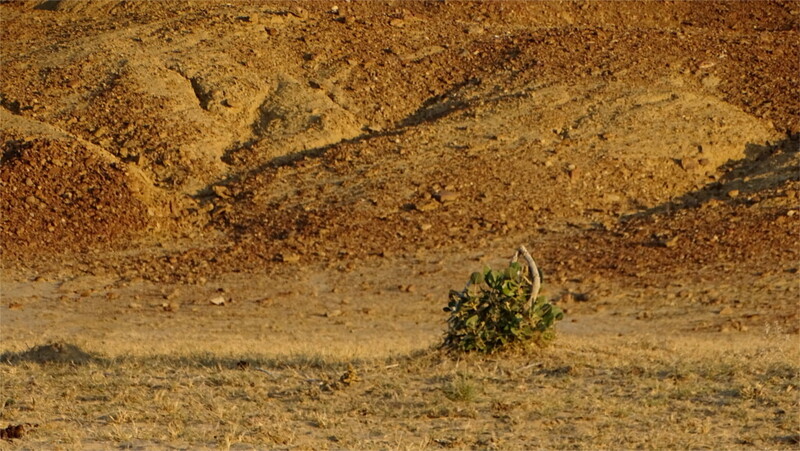 Luckily I got a couple of really tiny ones in the photo of the madar. 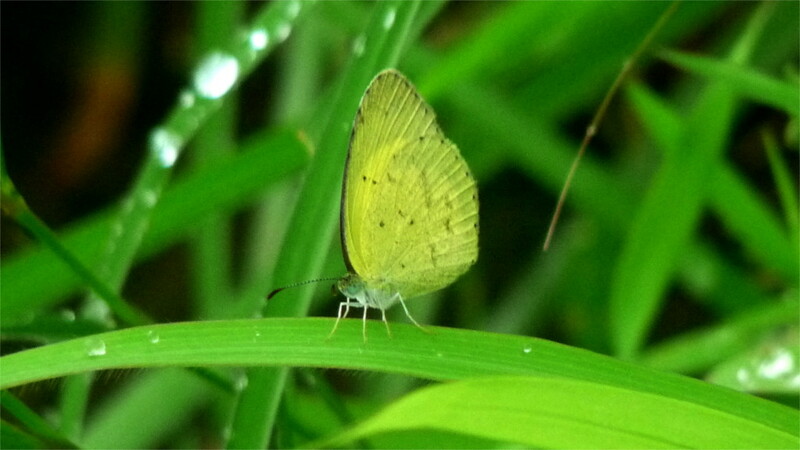 Other than that all I saw were a few common grass yellow butterflies, one of which you can see in the photo above. It was my first walk of the season in the ghats. The name of this post is the title of a book by Sunetra Gupta which I loved. The Family and I were still busy discovering each others’ tastes in books when she recommended it to me. After reading the book about a failing cross cultural marriage, I began to follow her advise about what to read. "But this is not that story", as Aragorn says at the gate of Barad Dur. This is a little post to commemorate the end of the monsoon for this year. We have travelled long distances during these four tedious months. The green that sprouts from the earth during this time is incredible. It seems that there is a twenty thousand year long climatic cycle [alternate link] during which the monsoons are good. During the peak of such times the Sinai desert and the Arabian peninsula bloom, and provide a path connecting Africa and the Eurasian continent. During two such long wet seasons humans migrated out of Africa. The first left only enigmatic traces in our DNA and the second wave colonized the world. This is not such a green period. We live in times when the Sinai and the Arabian peninsula are great deserts. You wouldn’t believe it if you drove in India in the last four months. 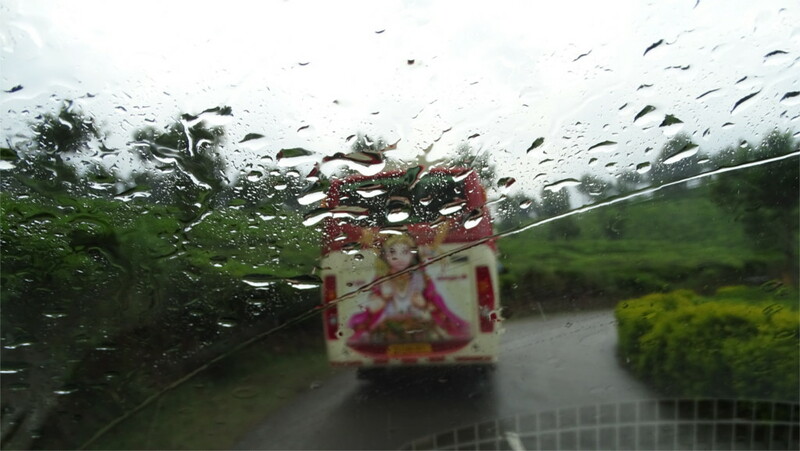 Here are three views through the windshields of cars which I took in Kerala and Maharashtra during this monsoon. The interior of the car becomes humid and warm, and you need to turn on a blast of air to keep the windows from fogging up. And then you can look out into a world which has become strange and silent. Another year till we come back to this time again. Something weird has happened in the last decade. Very large numbers of people from Mumbai want to go and stand under a waterfall in the Sahyadris during the monsoon. The photo you see here is of the Ashoka waterfall about a 100 kilometers from Mumbai on a weekend. 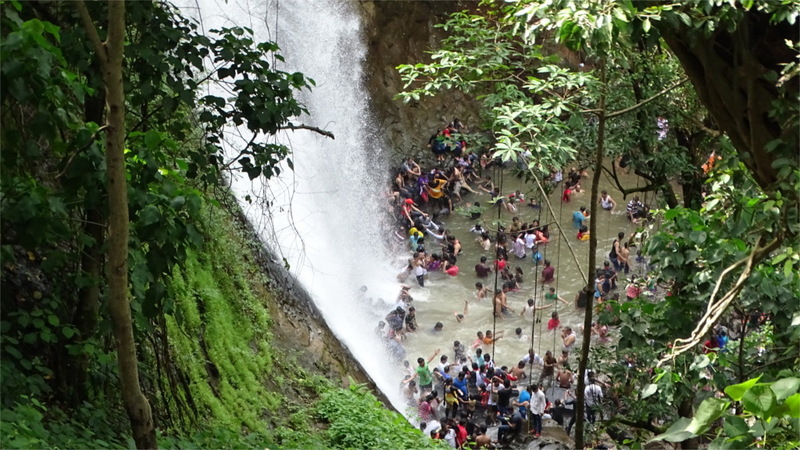 The waterfall was steep, and the path to the crowded pool was down a steep rocky face. It seemed as crowded as a suburban railway station at rush hour. We had gone to get away from the city, and turned away at the sight of crowds as dense as any we see on a working day. Such a density of humans would be dangerous in almost any situation. Fortunately, a car can only deliver you about a kilometer away on a slushy road, otherwise the place would be even more dangerous than it is. We remembered many recent newspaper stories about accidental deaths by drowning. From the statistics published by the National Crime Records Bureau it seems that rates of accidental death by drowning in Maharashtra are high compared to the rest of the country. On the drive back we noticed a few spots where cars and motorbikes were parked haphazardly at the edge of the highway near a stream falling over the side. People were clambering over the stones below to take selfies in the "waterfalls". If a large number of people take similar selfies, it usually means a social-media buzz. Why? The Family feels that more people have cars, they drive, and there are few places to drive to. This is true; most of the people we saw are young and newly affluent. But the same people could have done anything in the mountains. We did see some groups on open meadows, sitting down to a picnic lunch. A very few go trekking. Some probably go and have an impromptu dance. Could it be that some movies in recent years have kicked off a frenzy of selfies under cascading water?